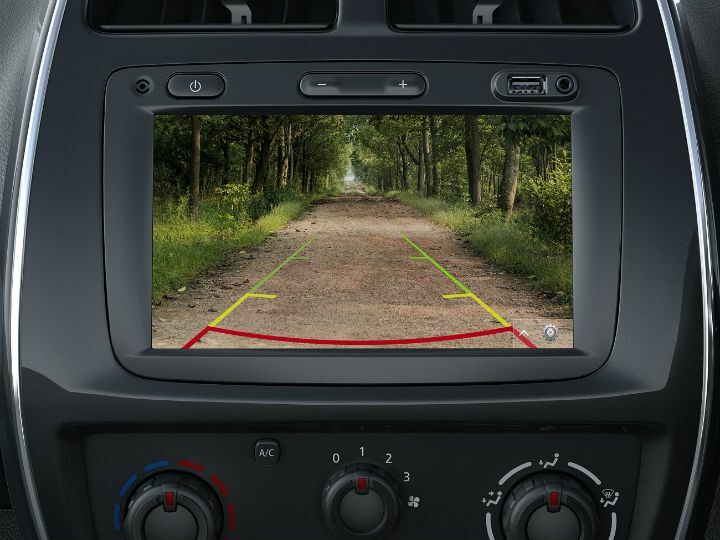 Kwid gets new safety features as standard. Top variants now come with Apple CarPlay and Android Auto connectivity. Continues to be powered by 800cc and 1,000cc engines. Prices for 2019 Kwid remain unchanged at Rs 2.66 lakh – Rs 4.60 lakh. Renault’s highest seller in India, the Kwid, has been updated with a host of features for 2019. The French carmaker has added safety features such as anti-lock brakes, along with driver airbag, speed-sensing door lock, reverse parking sensors and overspeeding alert as standard on the new Kwid. And all this comes without any bump in prices, thus making the Kwid an even better value for money than before. It still retails at a starting price of Rs 2.66 lakh (ex-showroom). The addition of the safety kit by Renault comes in line with the Indian government mandating the installation of compulsory airbags and speed limit reminders in all cars from July 1, 2019. Additionally, the new safety features would also help the Kwid improve its performance in crash safety tests conducted by Global NCAP. The India-made Kwid had received an abysmal zero star rating in crash tests by Global NCAP initially, which improved to one star in follow up tests. However, in the tests conducted by ASEAN NCAP in 2018, it got a zero star rating again. Meanwhile, the Brazil spec Kwid did bag a much better three-star rating thanks to its better safety features and standard airbags. Apart from the new safety features, the Renault Kwid now gets Android Auto and Apple CarPlay compatibility in the top variants as well. Mechanically, the 2019 Kwid remains unchanged. It continues to be powered by either a 0.8-litre, 54PS/72Nm petrol or a 1.0-litre, 68PS/91Nm petrol engine. The AMT gearbox (EasyR in Renault-speak) gets crawl function. It’s available in 8 variants, including four 0.8-litre manual, two 1.0-litre manual and two 1.0-litre AMT variants. The latest update to the Kwid not only makes it safer than before but also better equipped to face the stiff competition from the likes of the Datsun Redi-Go, Tata Tiago and the all new WagonR. With Renault keeping the prices unchanged (Rs 2.66 lakh – Rs 4.60 lakh) despite addition of new features, the Kwid certainly makes for a good option for first time car buyers.